This family-friendly apartment complex is situated in a quiet area of Corralejo in the north of the holiday island of Fuerteventura. Located next to the BAKU Waterpark, the hotel is just a short stroll away from the lovely sandy beach. It features two.. Located in the resort of Corralejo, 300 meters from the beach and 2 km from the Natural Park of the Dunes of Corralejo, this 2-storey complex comprises a total of 200 studios and 64 apartments. 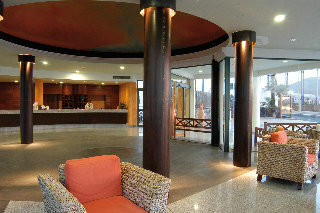 It has a restaurant, bar, lounge bar, laundry, games room,.. The Lobos Bahia Club is in the popular Fuerteventura town of Corralejo within half a mile of the famous Corralejo Dunes and the Lobos Island Natural Park, and only at a 30 to 40 minute drive from Fuerteventura International Airport. The nearest beach.. 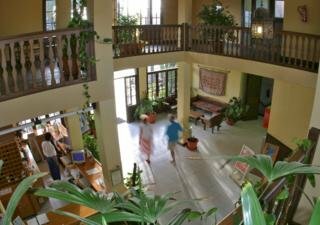 This apartment hotel is located 7 km from the nearest beach at Los Cancajos and about 1 km from the town centre of San Jose. Shops and a bus station are also within walking distance of the property. The establishment is set 400 m above sea level, at the.. 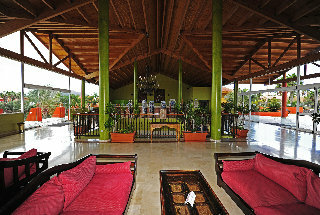 The charming hotel was built in 1964 and completely renovated in 1999. It includes a total of 140 rooms spread over 5 floors. The facilities include a lobby with a 24-hour reception, a reading room, a games room, a TV room and Internet access. There is.. The Morasol Atlantico Aparthotel boasts one of the best locations in Costa Calma, only 150 metres up from the long, wide sandy beach and about one kilometre from the resort centre. The majority of the apartments here have sea view.There are just 45 modern.. Surrounded by tropical gardens, this apartment complex is only 200 metres from Corralejo Water Park and 900 metres from Corralejo Beach. In the vicinity, guests will find many shops, restaurants, bars, and nightclubs, as well as public transportation.. 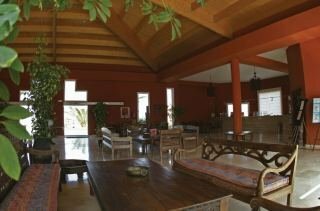 This attractive apartment complex is situated amidst tropical gardens in the north of the popular holiday island of Fuerteventura. It is an ideal place for families and especially for all those who love sports, as it offers an extensive variety of sports.. 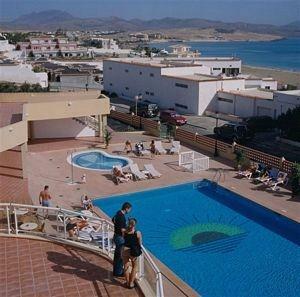 This family-friendly complex lies close to the heart of Corralejo, just 1 km away from the lively centre of the town. Guests will find themselves within easy access of the citys array of attractions, entertainment venues and delightful shops, while the.. Situated only 350 metres away from the sandy beach of the popular holiday resort of Caleta de Fuste, the pleasant aparthotel Risco Dorado enjoys a beautiful seafront location overlooking the eternal blue of the Atlantic Ocean. The excellent golf courses..